Baldwin’s Station was originally a B&O Railroad Station. This handsome brick Queen Anne structure designed by E. Francis Baldwin, was completed in 1883 on the east side of Main Street along the Patapsco River. This station became town property in 1988, the gift of The Farm and Home, Inc., a farm store in town. The music at Baldwin’s Station is brought to you by Uptown Concerts, Inc., a non-profit 501c3 organization affiliated with Folk Alliance International, dedicated to the preservation and promotion of folk and traditional music. Due to limited seating, advanced ticket purchases and dinner reservations are recommended. For tickets, concert information, and dinner reservations please call Baldwin’s Station at 410-795-1041. Uptown Concerts does not handle tickets for Baldwin’s Station shows. $3.00 SERVICE CHARGE PER TICKET. Sorry, we do NOT accept unpaid reservations. 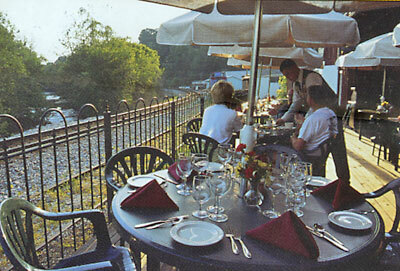 Visit Baldwin’s Station website for the dinner & bar menus and specials. Plenty of convenient FREE PARKING is available across the street from Baldwin’s Station in the Southern States parking lot, next to the Cork and Bottle. NO FLASH CAMERAS, NO VIDEO OR AUDIO RECORDING PERMITTED.